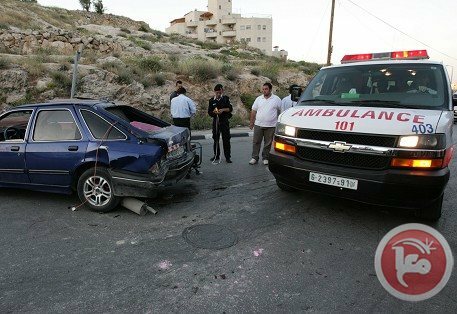 A Palestinian man from Bethlehem area was killed and a teenager sustained serious wounds in a road accident in the southern West Bank village of Tuqu east of Bethlehem Tuesday. Bethlehem medical official Muhammad Awad told Ma’an that 53-year-old Issa Muhammad Abdul-Rahman Sabbah was killed in an accident. The victim, he explained, lost control of a vehicle he was driving before he hit an 11-year-old pupil on his way back home from school causing him serious injuries. The vehicle then knocked over a wall on the roadside. 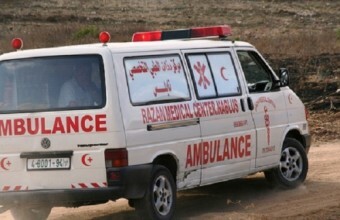 Ten people were injured in the central Gaza Strip on Monday after a collision on a coastal road, a Gaza health official said. Health Ministry spokesman Ashraf al-Qidra told Ma'an that a private car crashed into a three-wheeled vehicle on a beach road near Deir al-Balah, injuring 10 people. 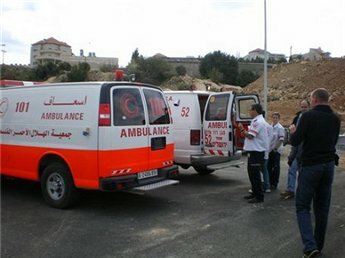 Two children sustained moderate wounds and were taken to Al-Aqsa Martyrs hospital for treatment. A Palestinian man from the Hebron area on Sunday succumbed to wounds shortly after his tractor flipped over while he plowed his land, medical sources said. 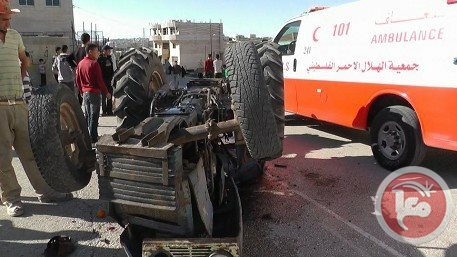 A spokesman of a joint operation room in Yatta south of Hebron said 37-year-old Amjad Khalil Abu Qbeita was evacuated to Abu al-Hasan al-Qasim Hospital in Yatta after his tractor flipped over. Shortly after he was hospitalized, doctors announced his death, added the spokesman. 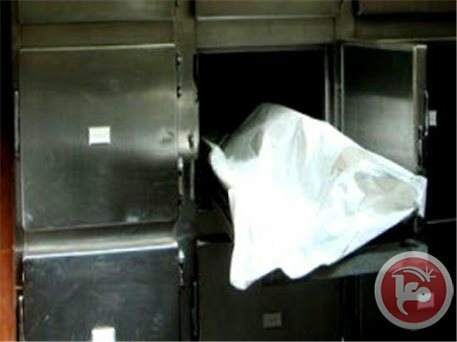 A Palestinian woman died Thursday morning of carbon monoxide poisoning in her house in Khan Younis in the southern Gaza Strip, medical officials said. Medics told Ma’an that 36-year-old Fayzah Muammar was pronounced dead at Nasser Hospital in Kahn Younis. She died of carbon monoxide poisoning caused by a wood-burning stove in her house. 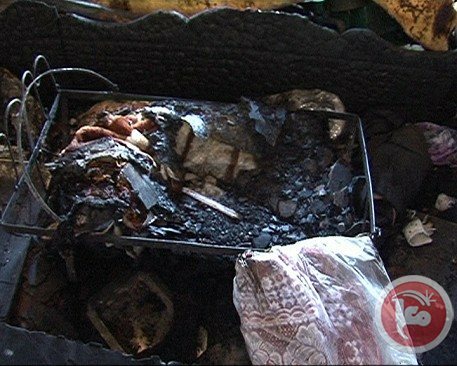 Separately, a fire broke in a house in Gaza City causing serious material damage. Eyewitnesses said the family of Thiab al-Qassas used candles to light the house during a power cut. A candle fell over and ignited a large fire in the house. No injuries were reported. A three-year-old girl from the Gaza Strip died on Saturday after she fell from the roof of her house, medics said. Medics identified the girl as Rimas Abd al-Jawad, who they said died after she fell from the roof of her house in the Tal al-Hawa area. They said the house was three stories tall. 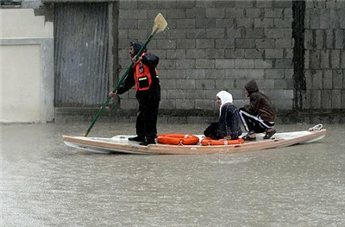 The Gaza government's Disaster Response Committee announced Friday evening that at least 49 people had been injured as a result of the storm pounding the Gaza Strip. Chairman Yasser Shanti said in a news conference that at least 46 minor injuries and 3 severe injuries have been recorded in medical facilities across the strip as a direct result of the devastation caused by the storm. He added that the committee had saved 150 families from their homes over the past 24 hours, and in coordination with energy authorities have worked to repair electric lines hit by the storm. 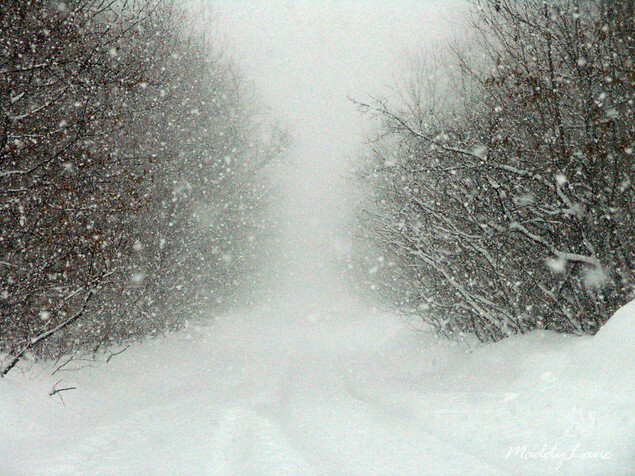 Brig.-Gen. director of civil defense Youssef al-Zahar in Gaza said that 265 crews have been working over time since the beginning of the storm to help with evacuations. He said that "crews of the civil defense evacuated 60 damaged houses" and "rescued 30 cars stuck in rainwater" in addition to repairing dozens of houses that had suffered major wind damage. He called on citizens to be cautious about using firewood and charcoal for heating inside homes and to ensure proper ventilation. Electricity availability has decreased to 1-2 hours per day in recent days, leaving most Gazan households almost completely powerless in the face of record cold temperatures and severe flooding. 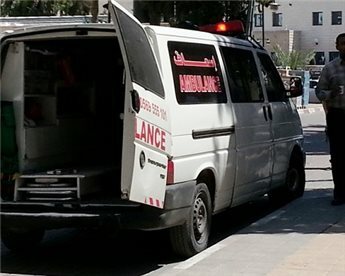 A woman was killed late Tuesday after being knocked down by a car in Qabatiya, south of Jenin. Siham Hussein Zakarna, 50, suffered fatal injuries after being hit by the vehicle and was evacuated to al-Raza hospital in Jenin where she was pronounced dead. Police have opened an investigation into the accident. Three children were hospitalized Friday evening following a house fire in the southern Gaza Strip. Eyewitnesses told Ma'an they saw smoke rising from Amjad Omran's home in Khan Younis refugee camp before fire fighters arrived and contained the fire. Three children from the family were taken to Nasser hospital in Khan Younis to be treated for smoke inhalation, locals added. A knocked-over candle was the cause of the fire, a Ma'an reporter said. Due to regular power cuts, candles are commonly used in Gaza as a source of light.